What is confidence means to you? there are many answers to this question. Well, you and I could define confidence in many different ways, angle or perspective. However, confidence is still confidence (oppss... what am I talking about); it is one of the aspects that come from within that will impact ourselves, our live, our thinking, our reaction and everything we do. Confidence is a feeling of one’s powers’ and more. The feeling of self-assurance in everything we do is priceless. However in Asian societies the concept of face or looks is important, we want to face the world wuth healthy and unblemished skin. In line with the National Healthy Skin Campaign, the secrets of beautiful healthy skin were revealed in the recent workshop by Bio-Oil with Dr. Nazirin and other skin experts at The Bridge Bar in G-Tower Hotel. Professional make-up artist, Monica Lee working her magic on model, Mynn Lee to create a natural, flawless finish. As the famous saying goes, when you look good, you feel good. 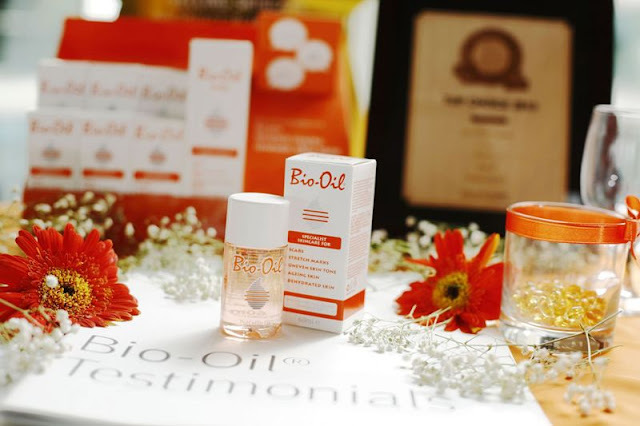 Instead of constantly relying on cosmetics to conceal your skin problems, Bio-Oil addressed on the need to cultivate a daily skin care regimen that will help you solve skin issues and maintain healthy skin. Feeling good about our physical appearance translates into a higher degree of self confidence. Celebrity make-up artist Monica Lee was also on hand to provide helpful make-up tips incorporating Bio-Oil into the make-up to have a long lasting and flawless look. 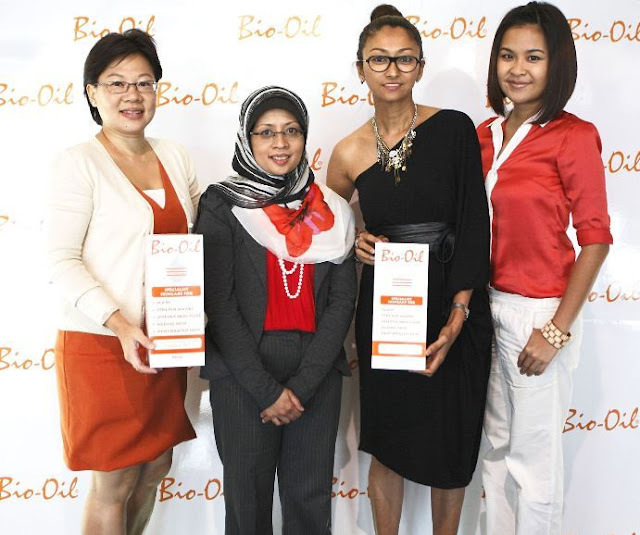 Bio-Oil is from South Africa and has won over 80 skincare awards globally. 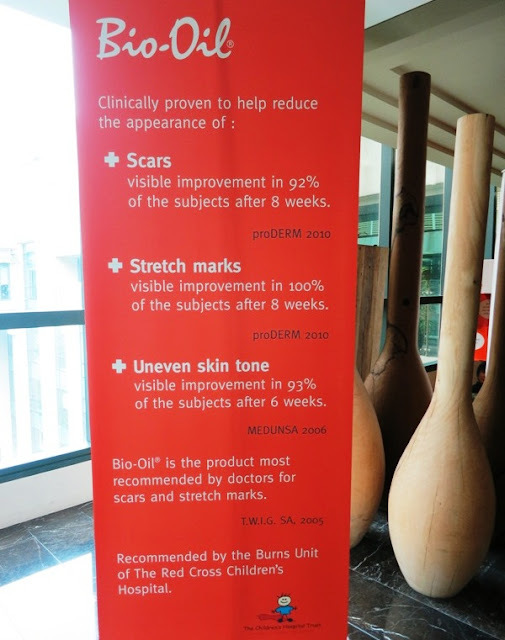 In Malaysia, it is the No.1 selling skincare product, as well as the No.1 selling scar and stretch mark product for two consecutive years (2010 & 2011, Nielsen). These successes can be attributed to the efficacy of the product. Bio-Oil has been formulated with a blend of essential plant oils and vitamins that are known to be beneficial to skin health and appearance. Bio-Oil also contains a unique ingredient called PurCellin Oil™, which lowers the viscosity of the formulation so that it can be easily absorbed into the second layer of the skin, rather than acting superficially on the surface. Bio-Oil is to be massaged in a circular motion until it is fully absorbed into your skin for twice daily for a minimum period of three months. Bio-Oil is now available at all leading pharmacies and personal care stores nationwide for RM32.95 (60ml), RM54.95 (125ml) and RM74.95 (200ml). With the help of Bio-Oil, having clear skin is one less problem you have to worry about. And one less problem means you are one step closer to carrying natural confidence, which is a lasting beauty. Thanks Bio-Oil & I love the Bio-Oil Handbook.